Capture home video or pictures from any camcorder, VCR, or other video device on your PC to show friends. E-mail pictures or video clips to family, or post them on websites. Plug-and-Play device for a simple installation. Clear Snap-Shot 640x480 still image resolution. Up to 30 frames per second at CIF resolution (352x288 pixels). Fully compatible with Windows Vista or TWAIN enabled imaging and multimedia applications. RCA mini stereo plug for easy connection to your video device. 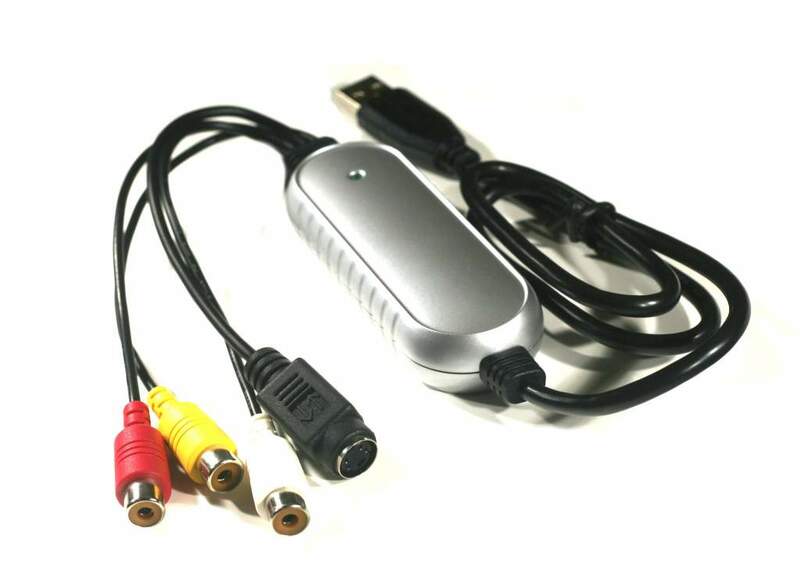 S-video plug for optimum video clarity. No power supply needed powered by the USB connection.